Home > Business Technology > Is bad software driving away your best employees? Is bad software driving away your best employees? As complex industrial organizations seek to evolve, diversify, grow and change, there are a number of things that can hold them back. Poor enterprise software may not support their diversifying or developing operation. And this lack of enterprise software usability can cause talented managers to leave for greener pastures. Only 26 percent said they are definitely or some­what likely to change jobs over poor software usability, but the more senior and experienced respondents were much more likely to bolt. A full 45 percent of the 36-45-year-olds said they were definitely or somewhat likely to change jobs over poor software usability. In each of the 46-55-year-old and 56-plus cohorts, 33 percent of the respon­dents said they were definitely or somewhat likely to change jobs over poor software usability. And poor usability, in this case, is more than an opaque or kluged interface, or the need to execute multiple clicks to complete a transaction. 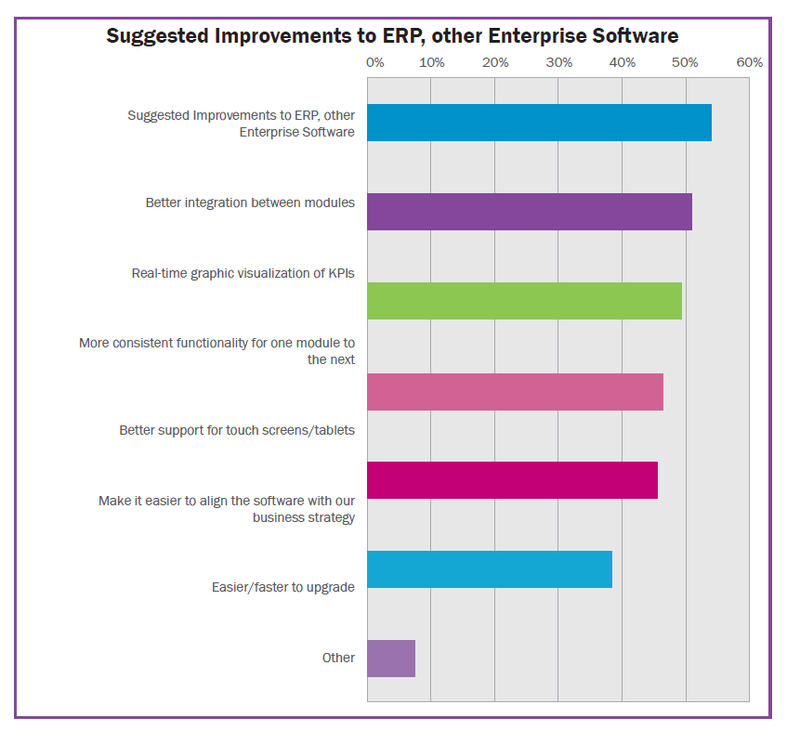 Study respondents were most concerned about things like whether or not the software can be easily reconfigured as the business changes or inconsistent functional conventions between one part of an application and the other. 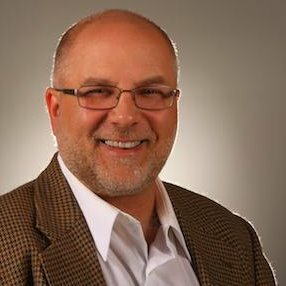 According to IFS CTO for North America Rick Veague, these data points should be concerning. “The middle-aged people, who spike in willingness to change jobs due to poor usability, should be concerning because these are the people driving the business—the movers and shakers,” Veague said. What does this mean for industrial companies? It means that poor enterprise software usability sends the skills, knowledge, business connections and creative capacity of these senior managers and executives out the door. According to another piece of research, The IFS digital change survey, lack of talented employees is one challenge businesses face in pursuing digital transformation. More than a third of companies (34 percent) feel either slightly or totally unprepared to deal with digital transformation due to talent deficiency. The takeaway from this is clear. Highly usable enterprise software facilitates digital transformation. And professional, ambitious people demand usable, agile software that is a help rather than a barrier as they work to drive value for their employer. Conversely, your ability to digitally transform depends on talented people. So, we can safely say that enterprise software usability is essential for digital transformation. Particularly in industrial settings that already face the one-two punch of a shrinking workforce and inexorable pressure to adapt to change. Read the Enterprise software usability and digital transformation study to learn more. 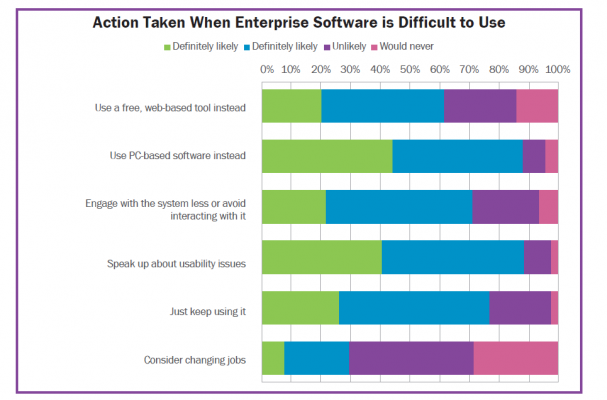 Do you have questions or comments about enterprise software usability? Share them below by leaving us a reply.